Skate Or DIY: Why Is It So Damn Hard To Build A Skate Park In Oakland? A profile of Oakland’s skate-park legacy — and the skaters working to build more places to shred. If you see Matt Kurtin enjoying himself at Piedmont’s skate park, aliens probably abducted and replaced him with a faulty clone. It’s not that he doesn’t love skateboarding. He’s just short on love for his hometown park. “The layout of the park, it’s like it was designed, or it must have been designed, by someone who has never been on a skateboard before in their entire life,” Kurtin told the Express. He’s not alone. Oakland skate parks suffer from all kinds of problems, and the city’s growing skate scene clamors for something better. Piedmont’s park is poorly designed and rarely open. Youth UpRising’s park near Castlemont High School is closed on the weekends — the days most kids want to grind. And the other East Oakland skate park, on International Boulevard, is so inadequate that most skaters never heard of it. This is not to mention other skater-built, DIY parks, such as Bordertown and The Spot, which were torn down after long battles with government agencies. Oakland’s skate park track record only recently improved, when Town Park opened in West Oakland in 2008. But the city didn’t even pay for that park; it was funded by Levi’s. Unlike other Northern California cities, Oakland’s spent very limited city funds on skate parks. But the skate scene is hustling to change things. Former Oakland High School art teacher Keith Williams — better known around town as K-Dub — is organizing young skaters and connecting them to groups such as the Tony Hawk Foundation. Professional skateboarders like Karl Watson also hail from Oakland. And the city is a common stop for touring skaters. But the city is still lagging on the development of legal, accessible skate parks. “Oh, in the national skate scene, we don’t even register,” Williams explained. “I mean, for a city and a municipality as big as Oakland, there should be at least one skate park per district in Oakland.” Instead, there’s only one decent park in the entire city. Oakland: Welcome to a skate-park hell. Where Ninth Street ends at Interstate 880 in the Lower Bottoms, you’ll find an empty lot: a junkyard, basically, complete with abandoned vehicles, trash, and broken glass. It has and does serve as an illegal dumping ground. But, a little farther in, there’s a lot of smooth, blue concrete, known as Lower Bobs: one of Oakland’s DIY, illegal skate parks. To the untrained eye, Lower Bobs looks like the ruins of underground swimming pools. To skaters, it’s straight out of the Lords of Dogtown. Murals and mosaics honor lost friends. It’s the cleanest part of the junky lot, yet the threat of demolition continues to plague it, just like other skater-built parks of Oakland’s past. 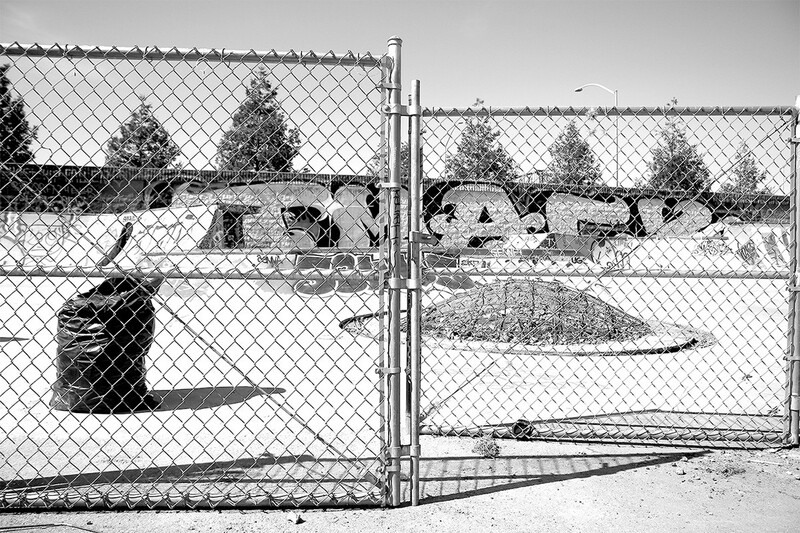 To build a park in Oakland, skaters have historically had to do the heavy lifting themselves. For instance, more than a decade ago, skaters began constructing what would be known as Bordertown, in June 2004, lugging in bags of concrete and bundles of rebar to make an elaborate set up of bowls and hips under Interstate 580 at Louise Street in West Oakland. But the following year, when Caltrans employees did a routine surveillance of people living under highways, they discovered Bordertown instead of the usual homeless encampments. Since it was illegally built, liability was high, and Caltrans was set to destroy the park. Skaters took to the media, however, drumming up support at city council, and Oakland brokered a 30-month lease with Caltrans, which kept Bordertown safe from the wrecking ball. Skaters raised $2,500 for a $25 million liability insurance policy. But Bordertown’s lease soon expired, and skaters couldn’t navigate city red tape — soil tests, zoning permits, and a $5,000-a-month lease. Eventually, they were barred from the park, during its last year of existence — but of course skaters just hopped the fence, anyway. Some were issued trespassing tickets as a result. Caltrans finally demolished Bordertown in November 2011. An equally beloved, but less-elaborate and illegal skate park called The Spot, under Interstate 580 near the Emeryville border, was also razed that same year. Yet Lower Bobs remains as the last DIY park in Oakland. It was built without city blessing, using $30,000 worth of materials by a group called Gauntlet Skateparks, just after Bordertown was demolished. The city erected a fence around the skater-built park known as Lower Bobs — but it hasn’t kept people out of the last DIY skate park in Oakland. In 2014, the city wanted skaters to stop building-out and using the Lower Bobs park. Andrew Stelzer, a reporter for KQED, covered the city’s threats of intervention. He told the Express that the city was stuck between another potential bout of bad press, for picking on skaters again, and also being accused of neglecting neighbor concerns that skaters weren’t abiding the law. Many people who frequent Lower Bobs, who did not want to be named in this report, fear the city may demolish the space they’ve maintained on their own. They abate unwanted graffiti and prevent the area from being another lot wrought with drug use, just like Bordertown. For now, they’re being left alone — and prefer it that way. While cities such as San Diego and Portland have found ways to legitimize DIY skate parks, such as the world-famous Burnside, homemade ones in Oakland fail to jump through the right permitting hoops. Official counts of all skate parks are hard to come by, since new ones are built as old ones are condemned. But by best estimates, Oakland’s on the lower end compared to similarly sized cities. Minneapolis has seven, while others like Raleigh, North Carolina, and Tulsa, Oklahoma, only have one within city limits. But Las Vegas has more than a dozen. Meanwhile, many other Bay Area cities have constructed numerous parks, including Richmond, Berkeley, Alameda, San Leandro, Hayward, Union City, and Fremont. All told, there are about fourteen skate parks in Alameda County, the most of any in the Bay. Even the City of Piedmont opened Kennelly Skate Park in 2004, using $137,000 in private donations. But that park’s unfriendly rules require full pads and a helmet — which can run up to $100 — and the park is closed Tuesdays, Thursdays, and fifteen holidays a year. This is not to mention that it opens at 3 p.m. on weekends and 4 p.m. on weekdays. It’s open fewer than 30 hours a month during the winter. Sara Lillevand took over as the head of Piedmont Recreation Department nearly three years ago. “For the first two years, I didn’t hear anything about the skate park, other than if people would call if it was supposed to be open, and it wasn’t,” she said. Recently, she says there’s been growing public interest in getting more out of the park. Among them, a group of middle school-aged skaters who showed up at a recreation commission meeting late last year: They wanted their skate park to be better, and open more often. Right now, the only money dedicated to Piedmont’s park is for the part-time employees that monitor it. Any renovations, Lillevand said, would most likely have to come from private donors. Such was the case with Town Park and a $700,000 donation from Levi’s. But Town Park didn’t happen overnight thanks to a denim fairy godmother. Town Park started with just wooden ramps, from the YMCA in Pleasant Hill, around 2008. These ramps weren’t new, and even had some screws sticking out, but it was a start. The ultimate goal had always been to use concrete and steel, but it took plenty of small fundraisers before big donors came in. “I wanted it to be a community thing, and I knew I would need help from different stakeholders in the community to trust me enough,” said Williams, a.k.a. K-Dub. Keith “K-Dub” Williams works to establish more legal skate spots in Oakland. Ken Lupoff, executive director of the Oakland Parks and Recreation Foundation, said his group managed the money for Town Park and helped clear bureaucracy hurdles. The rest, he said, was all Williams, and skaters who wanted the park built. Dana Riley, assistant director of Oakland’s parks department, contests the notion the city didn’t contribute to building its three skate parks. “The city has supported these parks, otherwise they wouldn’t be completed,” Riley told the Express. Those include Town Park, a mini-ramp in Montclair, and Rainbow Park — the latter not even on the radar of Oakland’s most senior skaters. Rainbow Park is located at Seminary Avenue and International Boulevard, and is just a few pre-fab Woodward ramps that sit unmaintained and unnoticed. There’s a quarter pipe, a spine, and no ramps on the other side to gain speed to skate them. The existing ramps have garbage rotting underneath them, and there’s a gap in the steel coping that would toss even the most veteran skater to the pavement. The little upkeep Rainbow Park receives is from a homeless couple in their twenties, who told the Express that they live at the park. They sleep in a tent behind the ramps. In June, a 17-year-old runaway girl was shot and killed just outside the skate park. While few skaters know Rainbow Park exists — and those who do say they actively avoid it — everyone on a skateboard, bike, scooter, or rollerblades knows Town Park. Town Park is also a racial and socioeconomic melting pot, as is any neighborhood skate park that’s open when it’s most needed: when kids aren’t in school. At any given time, techies and blue-collar workers, along with natives and transplants, will shred the same ramps. Vanloads of traveling pros stop by to compete alongside locals, or cheer on kids dropping into a ramp for the first time. “The third space is the social place that’s neither work nor home,” explained Peter Whitley, programs director for the Tony Hawk Foundation, which has given grants to Bay Area skate park projects. “A lot of urbanists believe we’re in an upheaval right now,” he continued, where city planners are really paying more attention to skate parks. Skater Kurtin can attest to these spaces, even if he’s not spending time at his hometown park. He hangs out at Town Park, taking pictures of the people who populate it, even when he’s hurt and can’t ride. But, again, the City of Oakland isn’t paying for this. 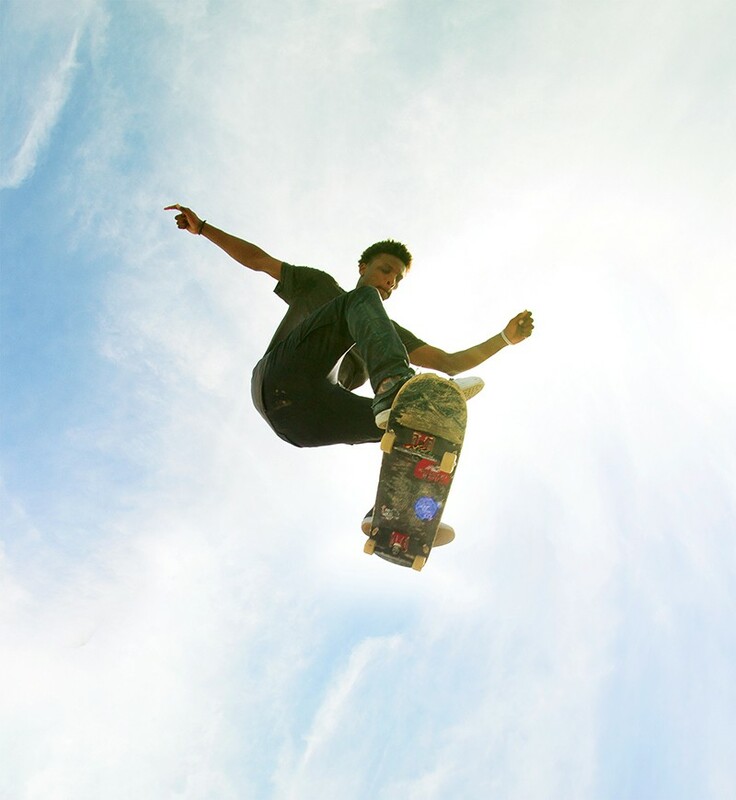 The money has come from other sources, such as the Tony Hawk Foundation, which has given grants to skate parks like Emeryville and Bordertown. The maximum amount per project, however, is only $25,000. While cities could use their leveraging power and pledge tax dollars to skate spots, many cities take an “obstructionist approach,” meaning they approve projects, but require skaters to find the money, Whitley said. A van of professional skaters from San Francisco pulls up to Town Park, and they join the locals who have been trickling in and out all day. Among them his 20-year-old Heem, as he’s known. He lives blocks from the park, and has been coming since the beginning. He doesn’t have to climb a fence to get in, because Town Park is open when he wants to skate. Town Park is a city-owned skate destination built on Oakland-owned land, but without any city money (excluding a few fee waivers). On a recent afternoon, Williams paid two boys $20 to sweep and clean-up trash. He makes sure he gets his money’s worth. “That only looks like 11 so far,” he yells across the park. 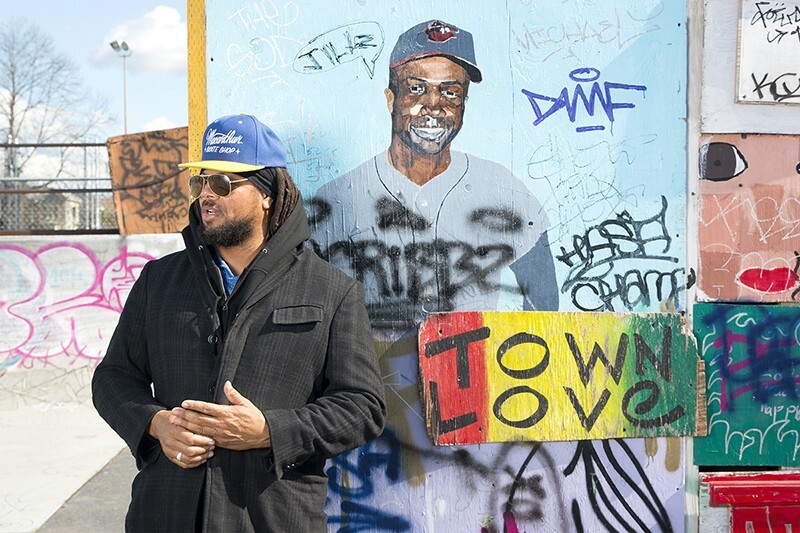 At six-foot-five, with dreadlocks tucked under a baseball cap, Williams’ presence at Town Park is unmistakable. And people know what he’s done, and continues to do, to get more legal skate spots in Oakland. For Williams, Town Park is just the first step in Oakland’s skate-park renaissance. Last November, he and his team replaced an old, dilapidated wooden mini-ramp in Montclair using $25,000 in private donations. Now, they’re eyeing taking over the tennis courts there for a street-skating element, as well as bringing skating to Mosswood Park, which is renovating its space after a fire last year. There’s also talk of building something to skate at the San Antonio Tennis Courts. Brian Moore, director of SITE Design Group, which has designed skate parks across the Bay Area and the country, says skate parks are now the top-requested amenity when building new public parks. Lately, he says the conversation is about convincing cities that skate parks can blend in with the amenities around them. “We’re just trying to tell them skate parks nowadays aren’t just gray concrete with a fence around it,” he said. In fact, the way they incorporate into modern spaces now makes fences obsolete. Take for example Emeryville’s park, which opened last March: It’s built as an alternative walkway connecting 45th Street and Park Avenue, through Joseph Emeryville Park. Berkeley also has skateable ledges in Peace Wall Park, across the street from Berkeley High School. And, soon, Berkeley’s 18,000-square-foot skate park at Harrison and Fifth Streets will get a facelift. City officials contacted SITE last year about leading a redesign, Moore said. First constructed in 1999, when bowls and transitions were popular, skaters now often prefer ledges and rails that mirror what they’d find in the streets. Along with changing skate park style preferences, there’s a growing faction of first-generation skaters who are now parents. And with age comes more collective knowledge of how to work through government red tape — which means the projects might be finished before they’re too old to skate them. “Times are a-changing and we’re all getting older,” said Moore, a skateboarder himself. But he’s not taking it for granted. “The youth are too young to vote, for the most part, but at the same time, though, they’re the ones that have to make it happen in their community,” he said. Brian Krans is an award-winning reporter studying at the UC Berkeley Graduate School of Journalism. He has been rollerblading at skate parks across the United States for more than two decades. There’s a meeting to discuss the future of Oakland skate parks this Saturday, March 18, from 1 to 3 p.m., at Old Kan Beer Co., 95 Linden St., Oakland. This story originally misidentified Keith "K-Dub" Williams, a mistake that we very much regret.